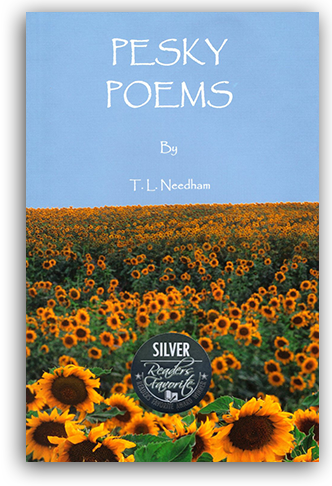 A Mind-Expanding Novella by Award-Winning Author T. L. Needham. 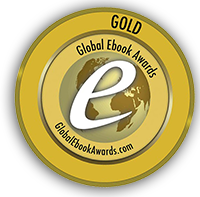 Readers Favorite International 2014 Book Awards presented The She Wolf with HONORABLE award in the category of Young Adult–Coming of Age. 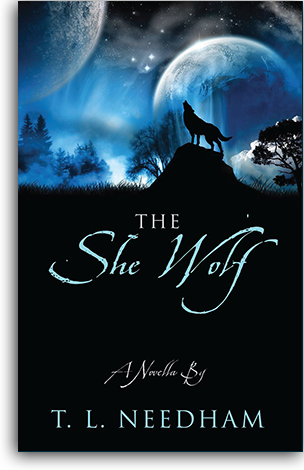 When 14-year-old Teddy Bredwell’s dog Chase takes off after a she-wolf in the woods, Teddy fears his beloved pet is gone forever. Despite his parents’ warnings not to venture into the woods alone, Teddy sets out to find his dog—but what he discovers in the shadows of the thick trees is a world beyond this realm and reality. There is a time, just after sundown, when the full moon rises in direct opposition to the setting sun. A time before the sunlight surrenders to the darkness…and the full moon’s glow asserts its will against the dark…and the sky is no longer blue, but not yet black…and hovers in an electric glow of deep indigo. But only on the most rare of nights, the night of the Blue Moon, the Indigo Blue Moon. During this time, deep in the woods, there is a realm where we are no longer here…we are there. We can find ourselves in a space between day and night, between light and dark, between today and tomorrow…between this realm and another. And, perhaps in that time, and that place, we will come upon those who are not from here…but from there. On a snowy Christmas Eve, a fierce cat named Kitty Claws rules over a family of thin, starving mice, keeping them from the tempting treats left out for Santa. But when the father mouse rescues Kitty Claws from danger, their relationship is transformed from one of adversity to a new bond of mutual friendship and Christmas spirit. 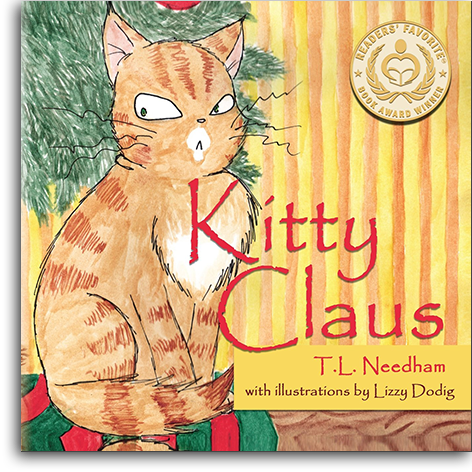 Kitty Claus is a delightful story-poem of transformation, courage, and righteous behavior. With beautiful illustrations and endearing characters, this book will be a treasured addition to any family’s library. This multi-award winning, 240 page book, based on a true story, opens on D-Day, June 6, 1944 . . . Louis Pfeifer, an 82nd Airborne paratrooper is about to commit to combat, while he recalls that on Ash Wednesday, 1926, a young couple, Alex and Theresa, left their six children home on the farm. They drove through heavy rains to attend Mass in town. That’s when the temperature dropped fast, and the heavy rain became a snowy windswept blizzard. 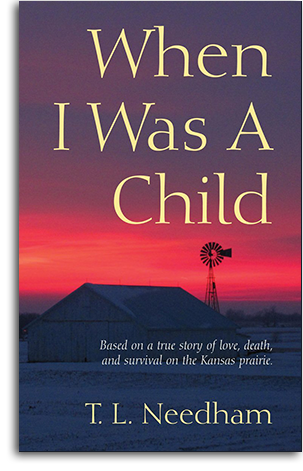 Powerful, honest, and unflinching, When I Was a Child is about the suffering that life inflicts–and the bravery that gets us to the other side, becoming much wiser and stronger along the way.